A games development marathon which pitted teams against the clock to create a product from scratch will feature on Channel 5’s The Gadget Show later in the year. The 72-hour Jamfuser session was held across the country by UK-wide games talent development programme Tranzfuser. 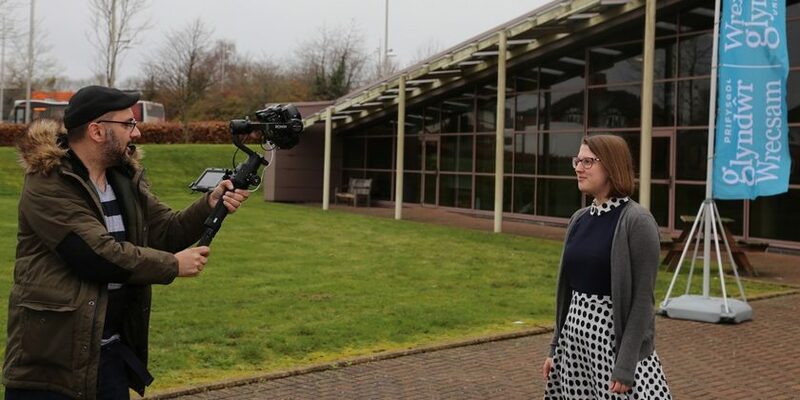 Wrexham Glyndwr University was selected as the primary location for filming due to winning the UK Games Fund’s Hub of the Year award last October, and hosted teams from across the region – including several from the university’s own courses – as well as welcoming the production team from Channel 5’s Gadget Show. During the session, teams completed against the clock to develop computer games from scratch, with their theme revealed by organisers at the start of the 72 hours. The teams then worked throughout the next three days to produce their games, with the final products uploaded to the Jamfuser site and the winner picked by participating teams. 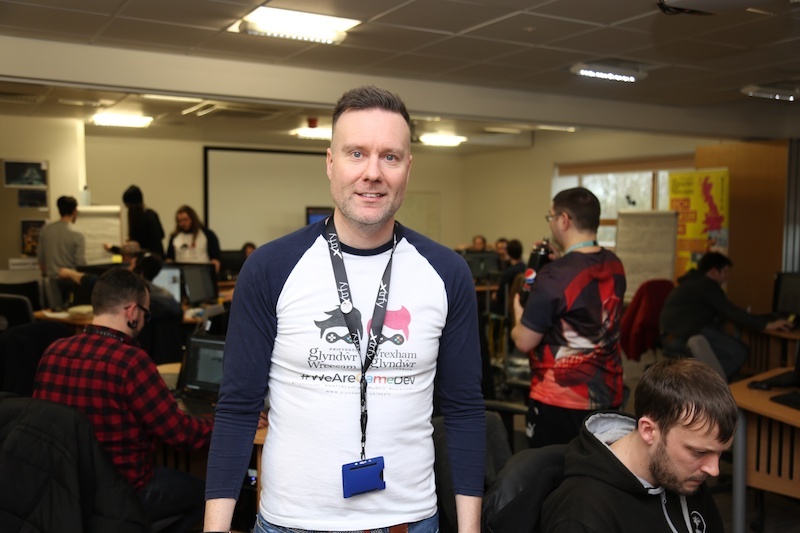 Senior lecturer in computing at Wrexham Glyndwr University, Richard Hebblewhite, said: “Being chosen as a regional host for Jamfuser was a great honour, and is a tribute to the excellent reputation our students and staff have built up in games development over the past few years. “Game Jams test the mettle of their participants with a round-the-clock development challenge, and each team that came along more than rose to the occasion – and we’d like to congratulate the winners, Milksop Games. The Games Jam was part of a packed week for Richard and the Games Development team, who also welcomed the talent acquisition team from Ubisoft, one of the world’s leading games studios, to Glyndwr to speak to students about building their careers in the industry. Richard added: “Our Computer Game Development course is designed to help students kick-start their careers – whether that is by developing their own games, or by working for the biggest game studios in the world. “The gaming industry is a hugely growing sector, and we were delighted to be approached by Ubisoft who recruited several of our alumni last year – to support their graduate development programme. More about Wrexham Glyndwr University’s BSc (Hons) in Computer Game Development can be found here.